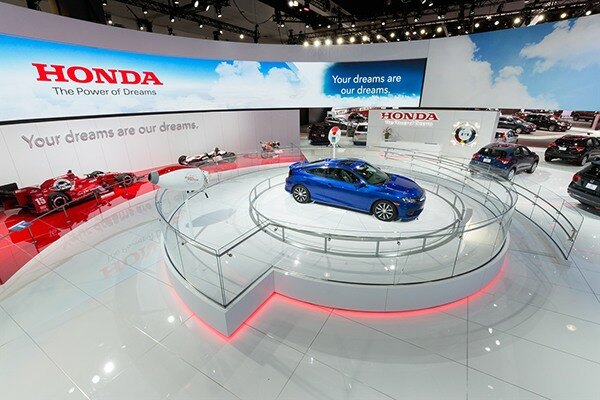 Honda has always believed in the Power of Dreams. 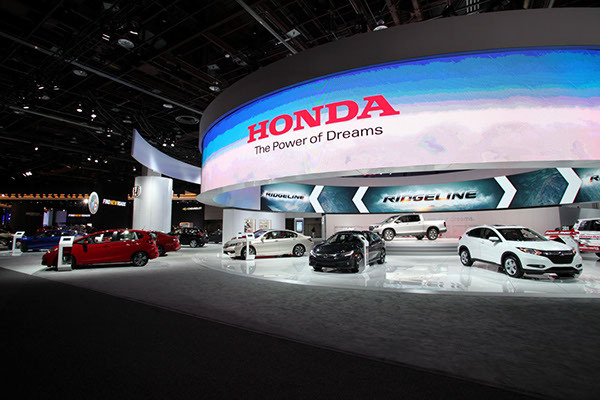 It’s what moves them to imagine, to innovate and to create ground-breaking products that expand the boundaries of human mobility. 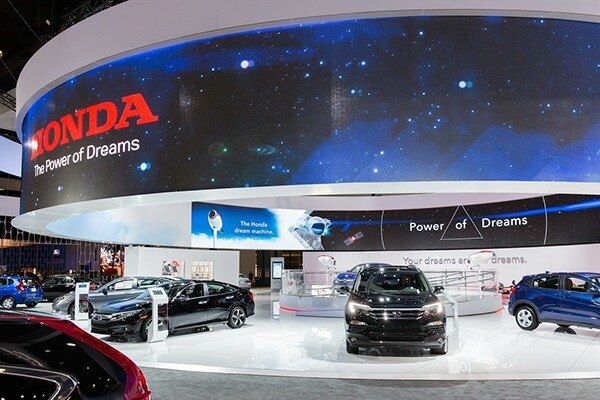 When it came time to design the new auto show experience for Honda, we wanted to shine the spotlight on Honda’s newest dreams through an experience that dared everyone to uncover and share their own. 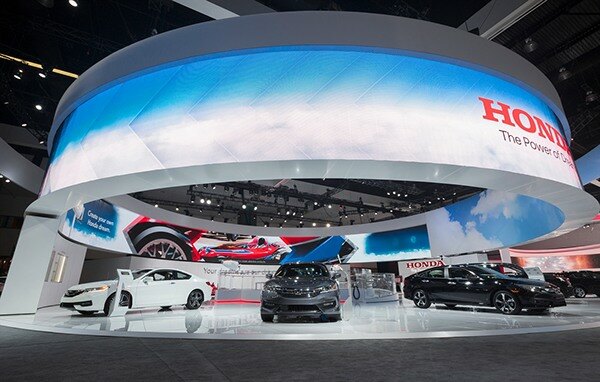 If we can dream it, we can build it. 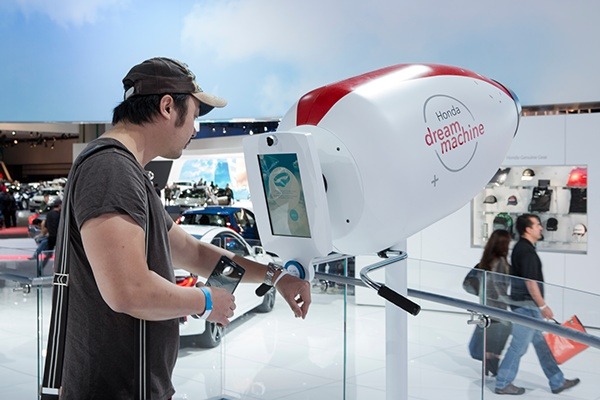 Enter the Honda Dream Core; an interactive experience that brought the concept to life. 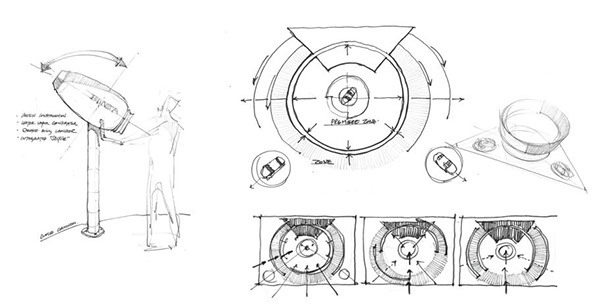 The journey began with a mobile app or RFID wristband. 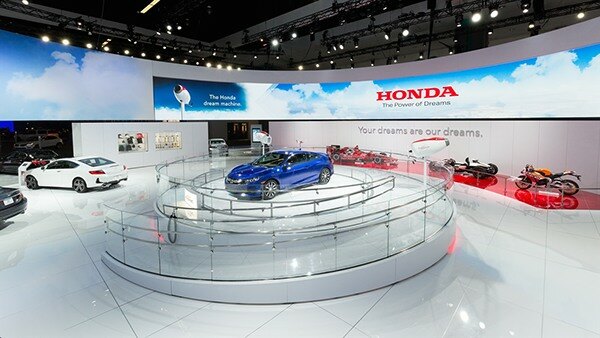 Those who download the app were served real time content about Honda’s featured vehicles as they wandered through the space, as iBeacons maintained an active geo-fenced zone around each product. 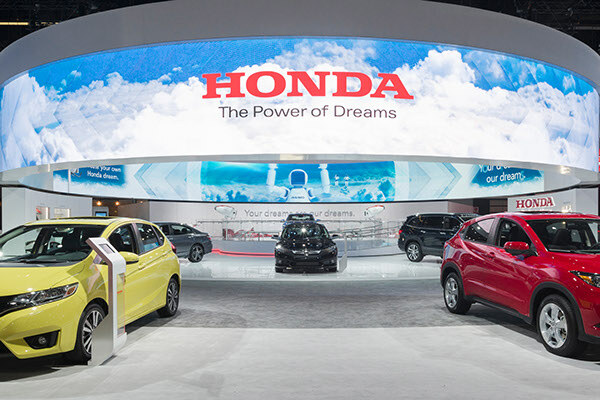 A projection mapped “Flick to Fill” game highlighted the spacious HR-V as attendees raced to digitally fill the cargo space with rubber ducks and teddy bears. 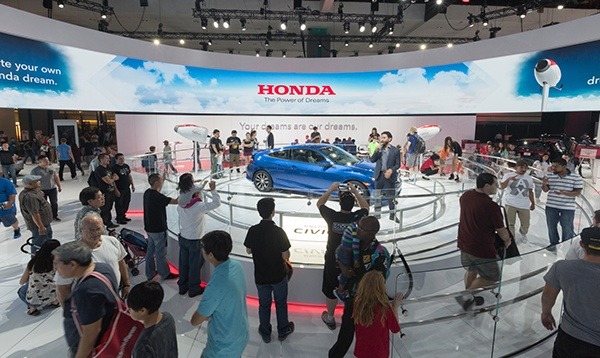 Those that completed their digital scavenger hunt were rewarded with Honda swag. 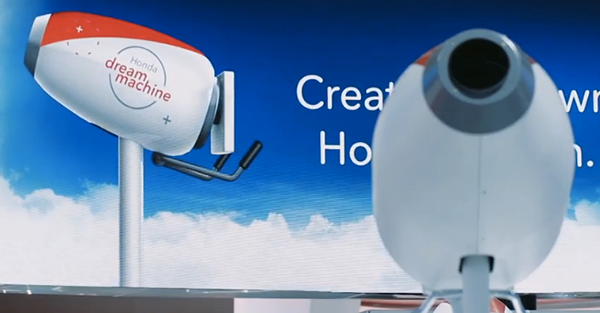 In the center of it all was the first ever Dream Machine, a digitally enabled cannon that would prompt attendees with a few profiling questions to discover the right product for them and to take a quick selfie. 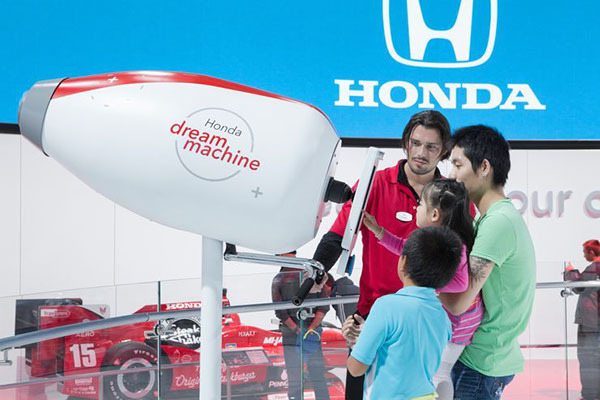 Then, in a puff of dream cloud vapor, the cannon would shoot those personalized dreams onto a 100-foot LED halo above: picture, animation and all. 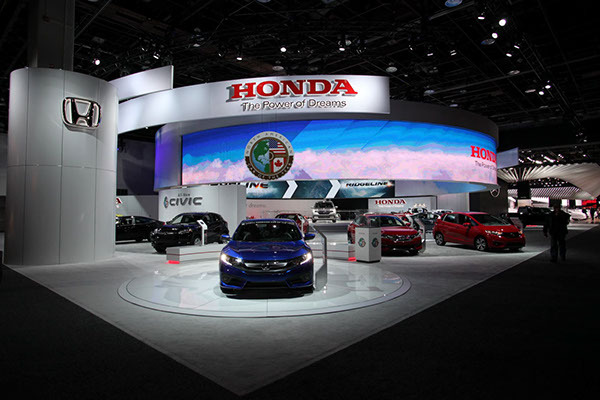 Results from the new space exceeded Honda’s wildest aspirations; with dwell time up by 50% and a 40% increase in dealership contact requests from the previous year. 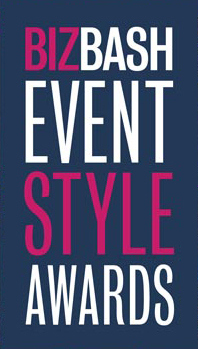 With the reach and awareness gained from the experience, not to mention thousands of smiles launched, we’ve proved that original ideas can be transformed into something innovative, inspirational, and most of all, fun.